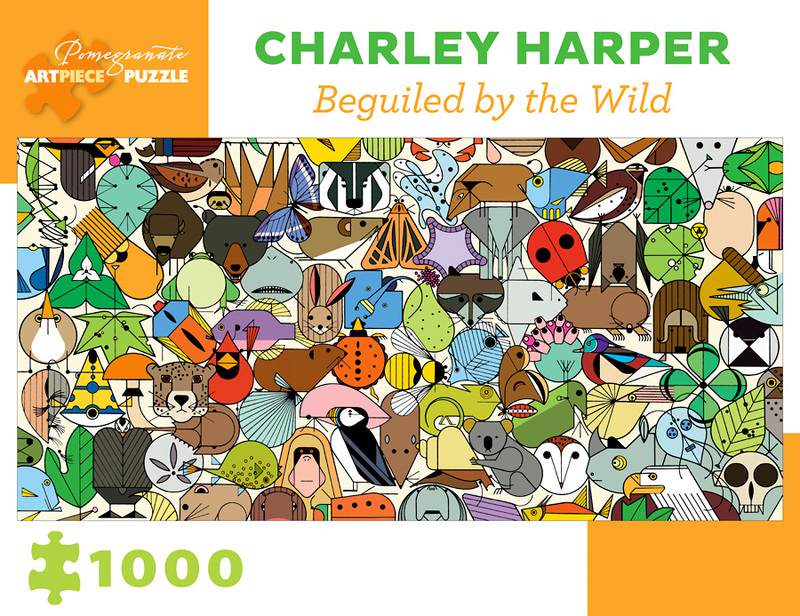 Charley Harper—master of the midcentury menagerie—has collected an eclectic ensemble with Beguiled by the Wild. Once published as a black-line drawing in his 1994 book of the same name, this image has been freshly colored in true Harper style—from the behemoth rhinoceros to the littlest leaf. 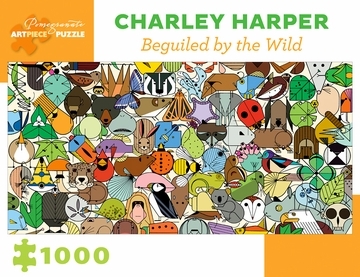 True to form, though certainly not to scale, the flora and fauna here can be found throughout decades of Harper’s art. You might recognize his iconic cardinal, but can you place others? A lifelong conservationist, Harper found his passion in creating fresh and witty paintings of wildlife in his own minimal realist style. Using geometric shapes, patterns, and vivid colors, he brought out the personality of each creature he painted.